Chipmunks have caused our patio to sink. We are in a homeowners association. How do we discover if the HOA is liable? The first step is to verify the chipmunks are the cause. Your next steps depend on the answer. Read on.. Reader Question: We own a townhome, and our paver patio is collapsing due to chipmunk damage. We have seen the chipmunks and their tunnels, so we know that is the issue. We installed the patio with homeowner association (HOA) approval. We don’t wish to do any repairs until we are aware who is liable for extermination now and in the future. We have both homeowners and umbrella insurance that we are investigating. We need advice on how to proceed. The second source may be HOA meeting minutes. The HOA board has meetings that contain the business records of the HOA. These sessions deal with budgets, neighbor relations, rule interpretations and possibly even chipmunk invasions. The HOA minute’s history may reveal how they have treated requests such as yours in the past. Some HOA’s are responsible for everything outside your home’s walls, and others are not. Consider acting sooner than later to determine the cause of the problem. Depending on the age of the building you live in and the construction date of the patio, improperly compacted soil or some other issue, such as an underground water line leak, or a sinkhole could be other candidates. Because Chipmunks and their burrow entrances are readily visible, they are sometimes identified as the source of settlement problems when another event is the actual cause. 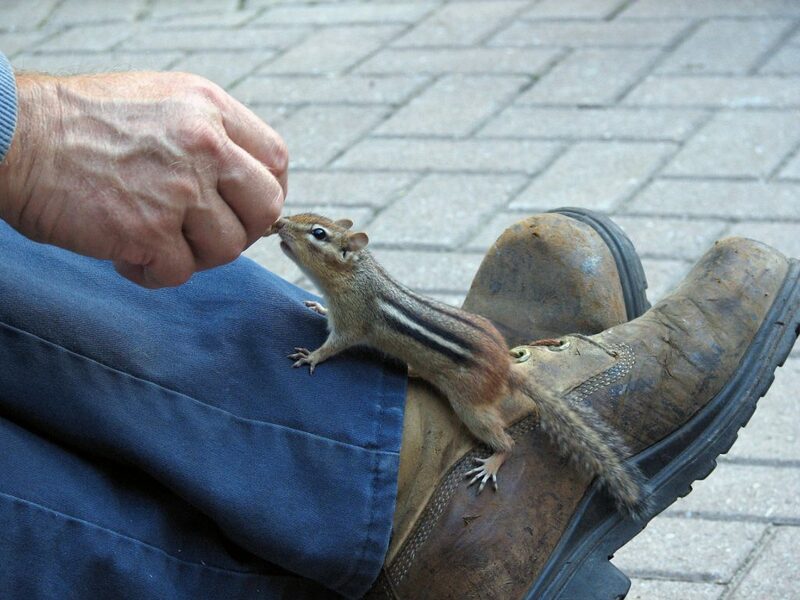 While live trapping takes extra effort, time, and auto expense, the experience in keeping Chip & Dale, Alvin, and other chipmunks alive was rewarding.